If you come across zCodec, which claims it is a video codec offering superior video and audio quality then don’t install that codec as it is a malware. The beauty is that this malware is freely available for download in the website zcodec.com. 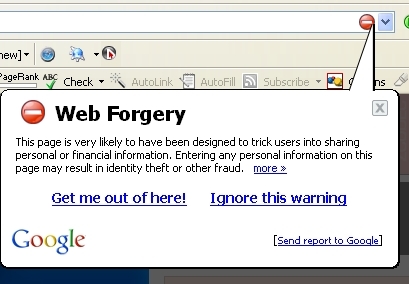 When you visit this site in firefox with google toolbar installed it also gives a warning there by confirming that this is a malware. So guys and gals better stay out of this site as well as this codec. ZCodec is an adware program that passes itself off as a video codec. It accesses an IP address on the Internet in order to download and run a certain file at random. This file can be of any nature. For example, ZCodec could download the Trojan Ruins.MB, which uses rootkit techniques in order to hide itself. Or, it could install an online casino. ZCodec also changes the DNS configuration and monitors if the user accesses any of several adult websites. ZCodec can be voluntarily downloaded from a certain website. How does this zCodec malware work? An EXE file, in the directory C:\ Program Files\ HQ CODEC. This file is deleted once it is run. Another EXE file, with a random name, in the Windows system directory. This file is injected into the Internet Explorer process, in order to be activated whenever the user uses this web browser. If by chance you are infected with this malware you can find the removal method here.